Lots of dogs eat grass. Sometimes they eat and swallow it; sometimes they seem to just grab and spit it out. Do you also worry about this behavior, asking yourself: Is my dear pup hungry? Bored? Or maybe sick? The fact is that even if your dog enjoys a well-balanced diet, he/she may still go for the green stuff on a regular basis. 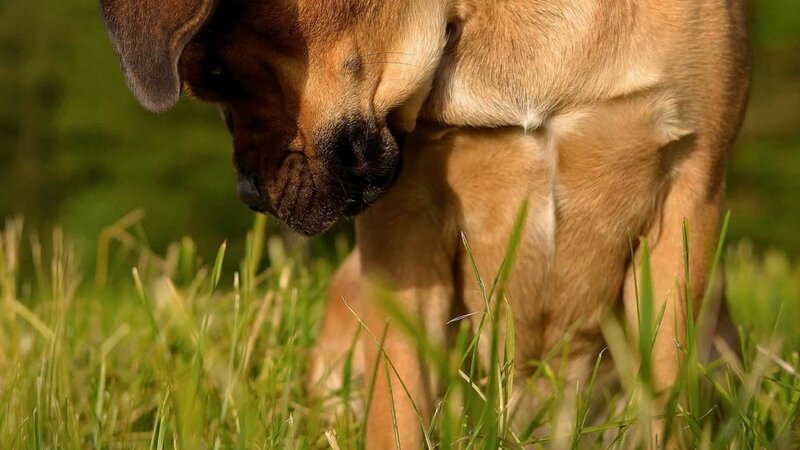 One reason why dogs eat grass is that they are excessively hungry, or could suffer from a dietary deficiency. If the dog’s nutrition is poor the likelihood of eating grass is higher. Before preparing homemade meals, be sure to consult a professional to make sure the nutritional balance is correct. If you notice that your dog has been munching away on grass or houseplants, then you may want to introduce natural herbs or cooked vegetables into their diet. 2. Dogs eat grass? S.O.S tummy! Some dogs might turn to eating grass when they don’t feel well as a way to make themselves vomit, and then feel better. When ingested, the grass blade tickles the throat, which may cause the dog to vomit. They simply seek a natural way to get rid of a gassy or upset stomach, and grass may do the trick. 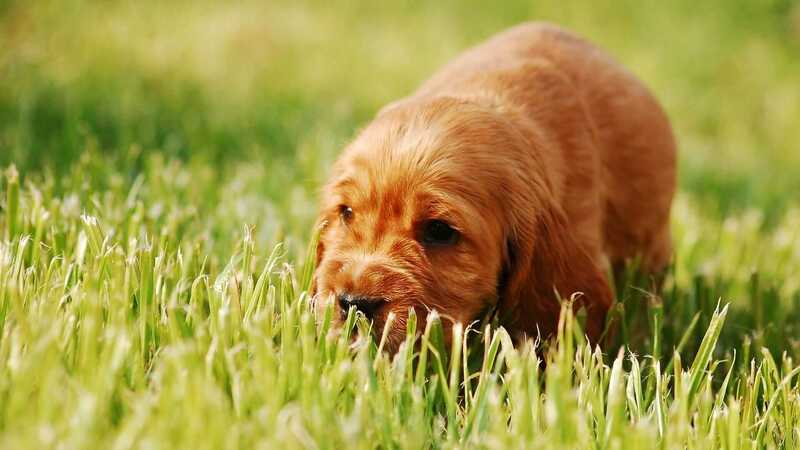 However, watch out for a sudden increase in grass eating, as it could be a sign of a more serious underlying illness that your dog is trying to self-treat. In this case, you’ll need immediate veterinary assistance. Dogs chew things frequently when they’re bored and need “something to do.” So maybe the most likely reason why dogs eat grass is because it is a rewarding and fun behavior that gets them out of boredom. Be sure that you always provide your pup with plenty of enrichment and activity and appropriate chewing options. Grass eating is said to be a normal tendency inherited from dogs’ wild ancestors. For ancestral dogs to have survived successfully, they would have needed good hunting abilities in order to survive as a pack. Grass eating may have evolved to help conceal their scent from their prey. Over time, dogs have evolved to be omnivores, which can explain why they have an appetite for grass. Normally, grass isn’t dangerous. But occasionally, grass, and particularly grass awns, can become lodged in the back of your dog’s throat. If your dog seems uncomfortable after eating grass or paws at his mouth, check for grass as a potential cause. Although grazing itself isn’t harmful, one thing to keep in mind is that certain herbicides and pesticides used on lawns can be quite toxic, especially if ingested and should certainly be avoided. Yard sprays, such as weed control, can turn grass and plants toxic. If you don’t know if an area is chemical free or not, don’t let your dog graze. And remember, while grass is not itself toxic, some types of grass and plants are! No matter what the real reason is (and it may be different from dog to dog or a combination of all the above), you can be sure that eating grass is a common behavior of normal, healthy dogs. How did you like this blog post? Leave a comment!